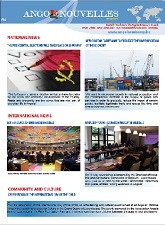 Angola Embassy » Federica Mogherini praises the democratic maturity of the Angolan people. In the Kingdom of Belgium, Grand Duchy of Luxembourg and Mission to the European Union. 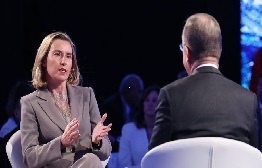 Federica Mogherini praises the democratic maturity of the Angolan people. The European Union head of diplomacy, Federica Mogherini, confirmed that the recent election in Angola is a “clear sign” of the country’s commitment to democracy. “ “The general election, which led to a peaceful political transition, was a clear sign of the Angolan people’s commitment to democracy”, stated Mogherini, in a communiqué released on the day on which the new President, João Lourenço, was sworn into office.Federica Mogherini reaffirmed the EU’s commitment to the building and strengthening of democratic institutions, and reiterated its full commitment, together with Angola, to meaningful development work in Africa and the rest of the world. She also stated that the EU “is available to support future elections, in particular for unbiased media access and the reform of electoral legislation in line with the international principles of inclusiveness and transparency”.